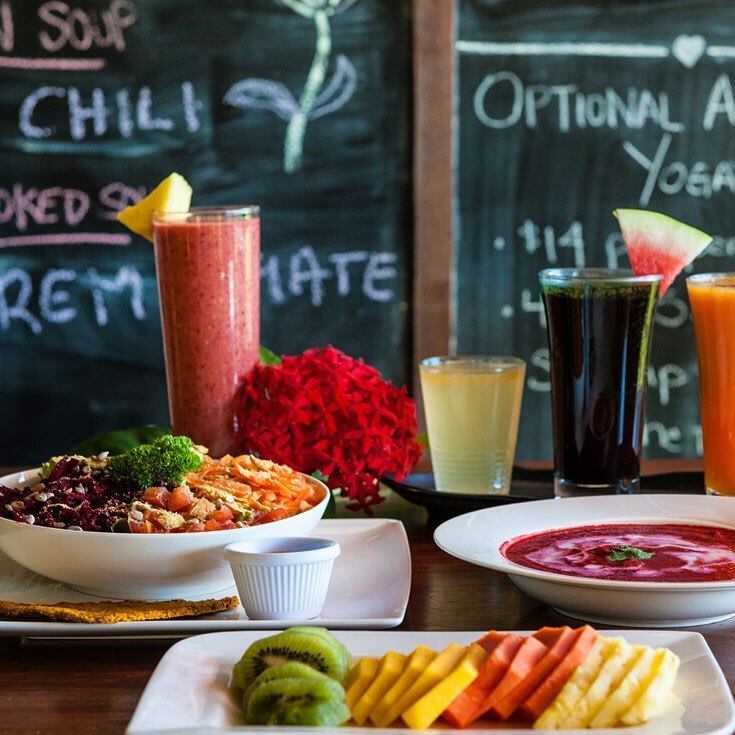 All Meals – Full-service unlimited raw organic living foods breakfasts, lunches and dinners – Hacienda del Sol’s menu is designed to support your highest wellness goals and chooses to serve mostly living foods. Unlimited all freshly pressed organic juices, coconut water, and teas. In order to support your wellness goals we do not to serve alcohol. Jungle hike to San Juanillo Beach. 2 Raw Food Cooking Classes (learn our tricks and bring them home with you). Hacienda del Sol signature food to go on the day you leave to skip airport food. - Someone looking to deepen their own yoga practice. ​- Someone looking to further understand yoga philosophy, yoga postures, alignment, and deepen their own self-healing and inquiry. - Someone dedicated to helping their community and bettering the lives of others. - Someone looking to improve health & wellness. - Someone looking to heal, grow, and become more present. - Someone who is ready to step into a leadership role in life and manifest a greater reality. *If you would like to come on retreat with us but not do the yoga teacher training, we would love to have you! 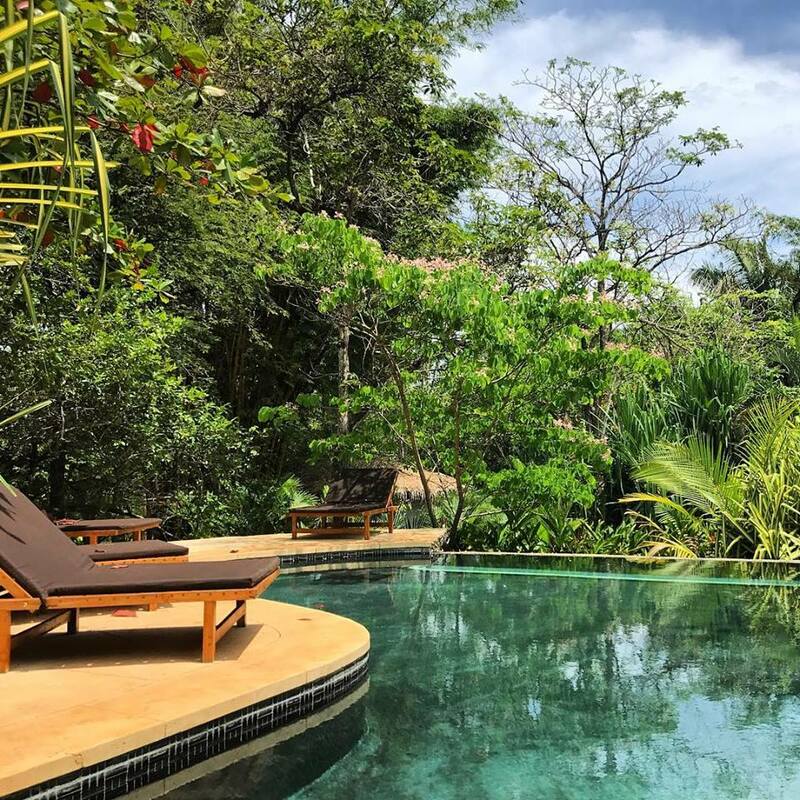 All above options for Hacienda del Sol are included except you would have more time for rest and relaxation while trainees are in yoga training session, with the optional attendance of various workshops/classes during the training. 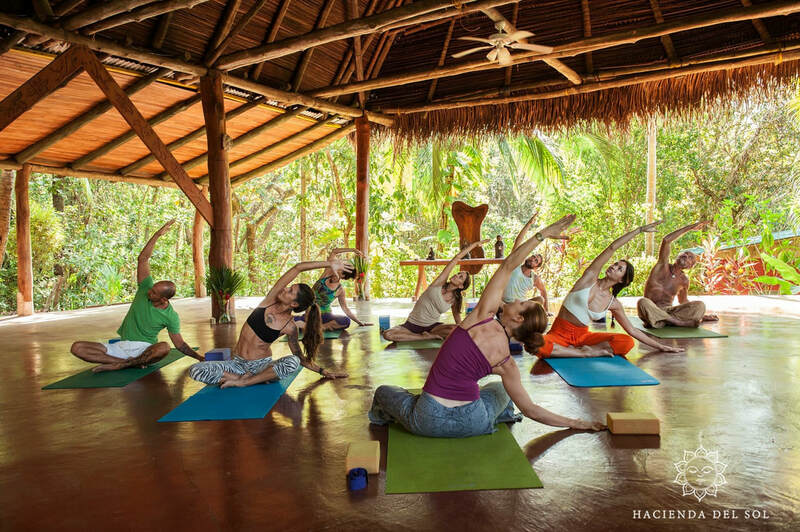 Think of this retreat as a gentle cleanse and an all-inclusive healthy yoga vacation. 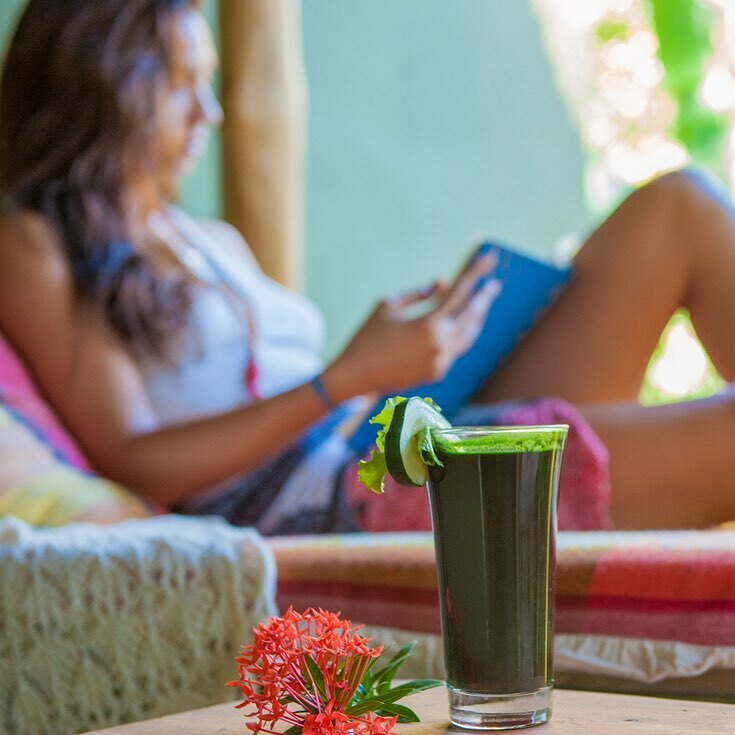 You are invited to order anything you would like from Hacienda del Sol's nutrient dense menus (Raw vegan, Alkalized Primal, or Alkalized Keto), and attend all of Hacienda del Sol’s Daily Activity Schedule. 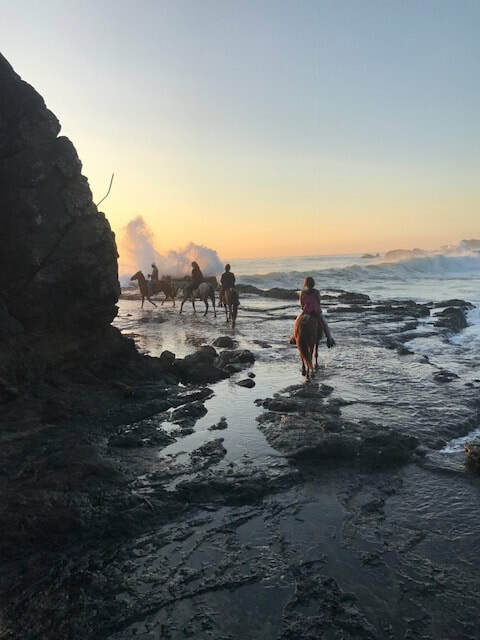 Each week day, you have the option of a morning and afternoon movement/yoga class and the weekends are filled with hikes and some adventure. You have the opportunity to fill the rest of the day with massages, wellness treatments, or more excursions. Description: Shared Bungalow (2 twin beds), small attached bathroom, no AC. Tierra: Private Bunglaow (1 king bed), larger bathroom, no AC. Description: Private Bungalow (1 king bed), large newly renovated bathroom, AC. Jungle view, mosquito netting, ceiling fan, private deck and hammock. Eco-friendly amenities including bio-degradable shampoos and conditioners. Free Wi-Fi Access (in main areas, not in-room). ​Cleo has been practicing yoga since she was 16, starting at an instructors house in the magical woods near Canaan, NY. The connection with the birds, the stream running outside, the breath, and the yoga poses expanded her awareness and consciousness. Her love for yoga blossomed and brought her to complete her 200hr yoga teacher training from Kripalu in 2011 and later to Naropa University (Boulder, CO) where she received her 1000hr yoga teacher training and B.A. in Yoga. The yoga program at Naropa enabled her to dive deeply into the ancient yogic texts, the practice of asana, the study of Sanskrit, and yoga nidra. 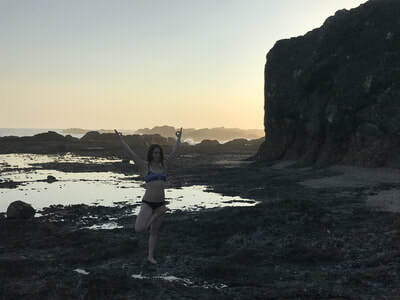 Cleo has studied under many amazing teachers, and has gained insight through experimenting with different yoga styles, which ultimately enabled her to find her own distinct teaching method and flow. Cleo opened Rainbow Body Yoga in 2014 and is thrilled to offer and share the joy, peace, happiness, love, calmness, and serenity that yoga brings to all that come to practice there. Hacienda del Sol is very fortunate about many things. We have an amazing team of people whom are naturals creating life changing and rejuvenating experiences for our guests. We have some of the most powerful superfoods on the planet growing ornamentally in our gardens. We have a menu that forever shatters the notion that healthy food can’t be mouth watering. A salt water pothole of a pool that softens the armours created by daily stress. But one of the things we are the most fortunate about is our location. 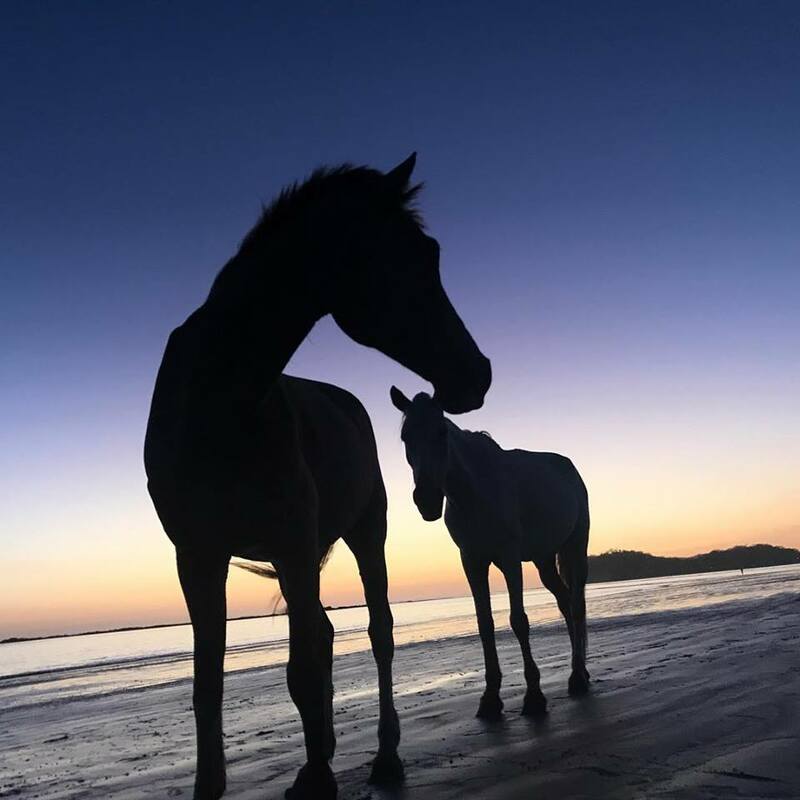 Not only are we surrounded by unspoilt Guanacaste dry forest and gorgeous, undeveloped beaches less than a kilometer away, but we are located in the largest of the only 5 blue zones in the world. Blue zones are geographical areas with the highest concentration of centenarians. People here live past 100 at 10 times the average. And it is not just living, it is 100+ years of quality living. Science might still not fully comprehend why this is, but our souls grasp this the second we step into it. It just feels good being here! 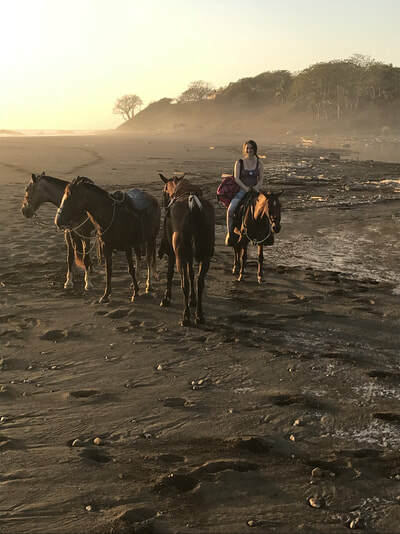 Most of our guests feel happy and healthier just being here, and we maximize this with daily practices of Yoga, walking, hiking, and just plain delicious and healthy eating.